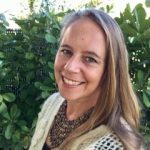 Elizabeth Anderson is a freshwater conservation ecologist based at Florida International University (FIU) in Miami, FL, where she is co-Director of the Tropical Conservation Institute and Assistant Professor in the Department of Earth & Environment. Her research explores the natural history of tropical freshwaters of Central America, the Andean Amazon, and East Africa, and the effects of human activities on these ecosystems. Her work has a strong conservation focus and involves collaborations with other scientists and those in key water resource management roles. Dr Angela Arthington is an Emeritus Professor in the Australian Rivers Institute, Griffith University, Australia. She is a research ecologist focusing on river and fish conservation, especially through the science and management of environmental flows. Her research findings underpin several globally adopted environmental flow frameworks (DRIFT, ELOHA). 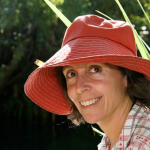 Angela has edited three Special Issues on biodiversity conservation and environmental flows, produced over 220 papers and book chapters, and numerous research and consultancy reports for Australian and international agencies. Environmental flows research culminated in Environmental Flows: Saving Rivers in the Third Millennium (2012, University of California Press). Angela received the honorary Making a Difference Award (2015) from the US Instream Flow Council. Her work has made a real world difference in the protection and restoration of flows for fragile river and floodplain ecosystems and the conservation of endangered species. 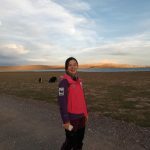 CHENG Lin, PhD in aquatic ecology, worked as a pillar leader of environmental flows project for WWF-China. In the past years, we have successfully introduced environmental flows concept into China. We’ve built a high level expert panel with leading Chinese scientists, organized several training workshops and published a series of introduction & summary books on environmental flows. So far, “maintaining the minimal flow” has been written into the 7-major river basin planning in China as national policy requirement. Based on those efforts, we’ve also successfully promoted the re-operation of Three Gorges Dam (TGD) for fishery resources restoration through the partnership with ministry of water resources, ministry of agriculture and TGD company. However, it is still a big challenge of how to balance the ecological and human water needs here in China with the largest population size of the world. I am here to explore the state-of-the-art solutions to address this issue. 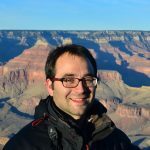 John Conallin is from Australia and currently a visiting researcher at IHE Delft, Netherlands in the position of M&E Expert and Science Coordinator. After completing a Bachelor of Science in Australia, he completed an International Masters in Environment, Policy and Regulation, a Master of Science, and a PhD in Natural Science at Roskilde University in Denmark in between 2002 and 2009. His main interests and professional roles are focused around the design and facilitation of social-ecological systems driven programs within Integrated Water Resource Management. 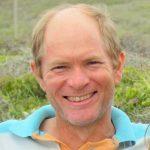 He specialises in finding social-ecologically acceptable outcomes within environmental flow programs using stakeholder driven and evidence based approaches, and ‘how’ to integrate formal scientific knowledge with informal knowledge to attain management based outcomes, with community input into the design and execution of programs. He views effective stakeholder engagement focused on values, trust and ownership within management as a key driver for successful long-term environmental flow programs. Barbara is Professor and Associate Dean of Faculty with the University of Idaho College of Law. 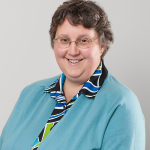 Currently she is also serving as the Interim Director for development of water resources research at the University. Her teaching and research expertise is in water law, the law-science interface and interdisciplinary research methods. 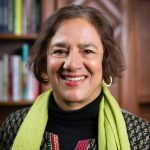 In her outreach and engagement, she serves as an expert on western water law and its reform in the face of extended drought and climate change, the Columbia River Treaty and on the process of Native American and federal water settlement. Barbara is part of the UI Water Resources IGERT focused on adaptation to climate change. She is co-chair of the Adaptive Water Governance project made possible through support from the NSF funded National Socio-Environmental Synthesis Center, SESYNC, and focused on the intersection between law and resilience theory. She spent spring 2015 as the Goyder Institute Visiting Professor in Public Sector Policy and Management at Flinders University researching adaptive water governance and water law in South Australia. water resource management (IWRM) and governance. Lead author of the indicator for the SDG Target 6.6 on water-related ecosystems. International work on environmental water requirements for rivers including the Nile, Inner Niger Delta, Senqu River in Lesotho, rivers in Tanzania and the Tana in Kenya, Limpopo and the Mzimkhulu Rivers in South Africa. Drafting of policy for determination of Resource Quality Objectives and implementation in the Vaal and Olifants basins in South Africa. A long history in river health management including methods for assessment and the design of monitoring programmes for the Okavango Delta in Botswana and rivers in Southern Africa. Various projects on IWRM and INRM (integrated natural resources management) in South Africa and Africa as a whole. Michael is an ecologist who has worked on tropical freshwater ecosystems in northern Australia for the past 26 years. 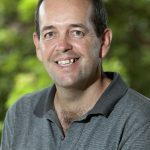 Since 2015 he has been a professor at the University of Western Australia and is an adjunct at Charles Darwin University, where he worked for the previous 20 years. 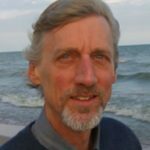 He currently leads the Northern Hub of the National Environmental Science Program and the Tropical Rivers and Coastal Knowledge consortium (TRaCK) and has led similar interdisciplinary programs for the past 10 years. These programs have involved collaborations between biophysical and social scientists working closely with government agencies. Much of this focused on research to improve water planning, including determining environmental flows. He has also worked closely with Indigenous land owners for the past 10 years. He has interests in fostering greater consideration of social dimensions in environmental flows through transdisciplinary research. Joseph Flotemersch is a Senior Scientist with the U.S. Environmental Protection Agency, Office of Research and Development and the Program Coordinator for the U.S. EPA’s Report on the Environment. He has a strong background in the assessment and monitoring of aquatic resources with an emphasis on non-wadeable rivers and streams; this leading to his involvement in the establishment of the on-going U.S. National Rivers and Streams Assessment. Many of his more recent projects are national in scale, including multiple projects working to develop and integrate large-scale social and ecological data-sets in support of systems-scale assessment approaches. This includes an ongoing Citizen Scientist project with the end-goal of conducting a social values assessment of waters of the United States. 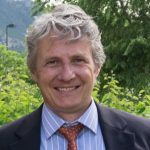 He is also serving as the senior scientist on a collaborative project in the Western Balkans that builds stakeholder capacities to face sustainability challenges in the Drin and Drina river basins. 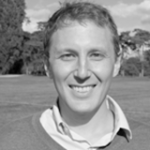 Dr. Dustin E Garrick is a lecturer and research fellow at the Smith School of Enterprise and the Environment, University of Oxford, where he also serves as director of the Smith School Water Programme and convener of the Oxford Water Network. His work focuses at the interface of water and the economy with a longstanding interest in environmental flows and the use of market-based instruments to balance water for people and rivers. In this work, we specialise in political economic analysis of water allocation reform and water markets as responses to climate change, urbanisation and sustainable development challenges. His recent book, Water Allocation in Rivers under Pressure, assesses the evolution and performance of water markets and basin governance reforms in Australia and the US with a focus on environmental water acquisitions, building on long-term research partnerships in the Colorado, Columbia and Murray-Darling Basins. He currently leads a research observatory on decentralisation and drought resilience in the Rio Grande/Rio Bravo Basin of Mexico and the US, where is interested in the role droughts can play as windows of opportunity for sustainable water allocation reform. He also leads a World Bank-funded project on water reallocation in emerging economies, examining the implications of agricultural-to-urban transfers for resilient cities and rural livelihoods. His work has included extended field research in Australia, Mexico and the US and been supported by the Australian Research Council, Canadian Research Council, Global Water Partnership, Fulbright Commission, OECD and World Bank. Dr. Garrick works closely with a range of public and private enterprise partners to build capacity, develop strategy and design innovative policies based on the latest evidence, methodologies and tools. He has served on numerous international committees, task forces and expert advisory councils, including the OECD / Global Water Partnership Task Force on Water Security and Sustainable Growth. I’ve worked as an environmental scientist at the EPA Region 4 office in Atlanta, Georgia covering 8 southeastern states since 1985. For the past 15 years, I’ve worked with states and tribes to develop scientifically defensible water quality standards to protect rivers, streams, wetlands and estuaries. I am the lead for addressing hydrologic criteria development under the Clean Water Act with states and tribes in Region 4. Since 2010, I’ve chaired the cross-program EPA Region 4 Hydrologic Alteration/Flow Workgroup which addresses all programmatic issues relating to flow and hydrologic alteration under the Clean Water Act, including water quality standards, Section 402 permitting, groundwater/surface water issues, estuaries, monitoring, assessment, dam removal, Section 404 permitting and National Environmental Protection Act (NEPA) reviews. I chaired EPA’s national workgroup to develop and finalize national guidance on how to accurately capture impairments due to flow and hydrologic alteration, entitled, Information Concerning 2016 Clean Water Act Sections 303(d), 305(b), and 314 Integrated Reporting and Listing Decisions (see:pages 13-16, published August 2015). I was one of the primary authors of EPA-USGS Technical Report: Protecting Aquatic Life from Effects of Hydrologic Alteration, providing information to states and tribes considering the adoption of hydrologic or flow criteria (December 2016). I was the co-author of a joint USGS- EPA RESTORE Act proposal for a foundational project to assess flow alteration across the five Gulf of Mexico states as part of the recovery from the BP Oil Spill disaster. This project, which will create tools to be used by community and state and local leaders, will also restore or install gages where needed in the Gulf to more accurately identify flow alteration. The proposal was published for full funding in the Final Priority List in the Federal Register on August 13, 2015, for $5.8 million. (See US EPA & USGS Joint Proposal for Baseline Flow & Gage Analysis and On-Line Tool Development to Support Bay and Estuary Restoration in Gulf States). I led EPA’s team to publish EPA’s Frequently Asked Questions on Removal of Obsolete Dams, to support efforts to restore hydrologic connectivity through dam removal in the United States, published January 2017. I conduct outreach on Clean Water Act issues relating to flow and hydrologic alteration, for instance, I co-led two half day workshops on flow and the Clean Water Act at the Instream Flow Councils FLOW 2011 meeting in Nashville, Tennessee and published outreach articles for River Network on EPA’s publications relating to hydrologic alteration and flow (See River Voices, April 2016 edition) . 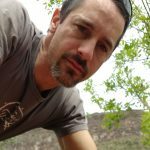 David Groenfeldt is Director, Water-Culture Institute, and Adjunct Associate Professor of Anthropology at University of New Mexico. Starting with his PhD research on irrigation development in India, David has focused on social and cultural dimensions of water . He has worked with IWMI in Sri Lanka, and with NGOs, consulting firms, the World Bank, and other international aid agencies. As director of Santa Fe Watershed Association (New Mexico) he promoted the surprisingly controversial concept of environmental flow, an experience which led to a broader interest in water ethics. David founded the Water-Culture Institute (WCI) in 2010 to examine the role of values and ethics in water policies and governance. These concepts are outlined in his 2013 book, Water Ethics: A Values Approach to Solving the Water Crisis . Through WCI, David is partnering with international groups to develop a global “water ethics charter” while also working locally in New Mexico and elsewhere to help develop community-based water charters for municipalities, watersheds, and river basins. David is also Chair of the Water Ethics Working Group. 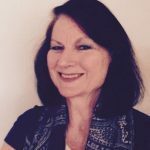 Sue Jackson is a geographer with over 20 years’ experience researching the social dimensions of natural resource management in Australia, particularly community-based conservation initiatives and institutions. She has research interests in systems of resource governance, including customary Indigenous resource rights, and Indigenous capacity building for improved participation in natural resource management and planning, as well as the social and cultural values associated with water. She has conducted research with communities throughout many regions of Australia. Her recent research has improved the capacity of Indigenous communities to advance their claims for water rights. Sue is co-convenor of a new working group of the Sustainable Water Future Program, an initiative of FutureEarth. With the title Rivers, flows and people: Connecting ecosystems with human communities, cultures, and livelihoods, this group aims to address the pressing need of ensuring that all the world’s rivers have in place environmental flows that sustain ecosystems and human livelihoods and wellbeing. It will synthesize experience and knowledge, share lessons and facilitate project-based research to advance transdisciplinary approaches in this new field of socio-ecological science. 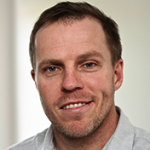 Tim Jardine is an Assistant Professor in the School of Environment and Sustainability, University of Saskatchewan, a Science Director in the Canadian Rivers Institute, and an Adjunct Research Fellow with the Australian Rivers Institute. 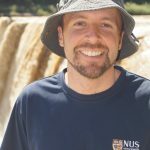 His research explores hydrological connectivity and energy and contaminant cycling in fish food webs of large rivers, with experience in northern Australia and eastern and western Canada. He currently works with communities in inland river deltas to understand environmental and Indigenous flow needs, as part of interdisciplinary teams that include policy scientists, biologists, and engineers. His recent research is contributing information to a re-licensing process, the first to occur in the province of Saskatchewan, for a large hydro-power dam (E.B. Campbell Dam) that has altered downstream flow patterns to the Saskatchewan River Delta, North America’s largest inland delta. 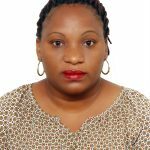 Ms Jane Kabogo (Tanzanian) is an experienced social scientist and water management and development expert with over 12 years of experience in both field. She is currently working with the Ministry of Water and Irrigation in Tanzania as a Senior Community Development Officer in the Water Resources Management Department. Previously, she was working with the Local Government authorities in one of the districts as a community Development Officer. She holds an MSc in Water Management. She has developed a professional career interest in water resources management and development, community development, integrated water resources management, social-environmental assessment in rivers, evaluation and backstopping of community based development projects. Chicu is an independent consultant working on water conflicts with a focus on stakeholder negotiations. A civil engineer by training, Chicu studied environmental conflict resolution as a Hubert Humphrey Fellow in 2007-08. Since 2008, she has worked on the assessment of environmental flows for the Upper Ganga and the Ramganga and studied Himalayan rivers with the Peoples’s Science Institute, a civil society organisation. Chicu lives in the Himalayas and writes on water issues in the Gangetic Basin. 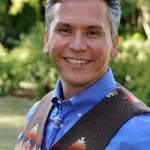 Paul Lumley is the Executive Director for the Native American Youth and Family Center and is a citizen of the Yakama Nation. He recently came to NAYA Family Center after being the Executive Director of the Columbia River Inter-Tribal Fish Commission (CRITFC). He worked there from 1987-2004 under several capacities. He returned to CRITFC after 5 years in Washington DC to begin his tenure as executive director in 2009. Mr. Lumley has an extensive history working with Northwest Tribes on salmon issues, particularly in the Columbia River Basin. Mariana Montoya serves as Country Director for the Wildlife Conservation Society (WCS) in Peru. 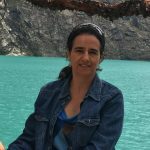 She obtained her PhD in geography from the University of Texas – Austin, where she focused on the sustainability of socio-ecological systems in the Peruvian Amazon. Dr. Montoya’s Ph.D. dissertation examined how the Kandozi indigenous group of Loreto governs access to fish, how this access contributes to their well-being, and if the Kandozi’s natural resource use is sustainable. Previously, she obtained her master’s degree in Ecosystem Management in the Autonomous University of Baja California in Mexico and her undergraduate degree in Biology in the National Agrarian University La Molina, Perú. 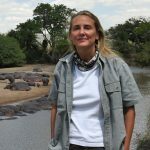 Mariana has experience in Latin American conservation and development. 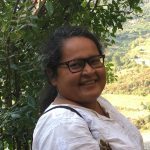 She has lead in the design, implementation, and supervision of various projects of biodiversity conservation, indigenous organization strengthening, poverty alleviation, natural resource management, watershed management, and environmental threat mitigation in Peru. Julian is a Professor in the School of Aquatic and Fishery Sciences and co-director of the Center for Creative Conservation at the University of Washington. Broadly motivated by a future where people recognize and respect the diverse values provided by functioning freshwater ecosystems, Julian seeks to integrate science-based approaches with on-the-ground management and conservation decisions. His research focuses the challenges associated with water resource management, dams, invasive species and climate change. Julian actively engages in science communication, believing that uncensored discussions are essential to meet the environmental challenges of the future and to strengthen the modern conservation movement. 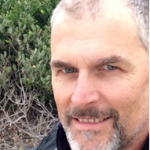 Dirk Roux is a freshwater scientist with 27 years of work experience spanning the fields of limnology, environmental monitoring and reporting, conservation planning approaches, adaptive management, ecosystem services, water policy and institutional learning processes. Before joining SANParks he worked for a research council (CSIR) and Monash University (South African campus). His SANParks mandate entails working at the interface between research, policy and practice to promote systemic conservation of freshwater ecosystems. He is interested in so-called wicked problems that are characteristic of social-ecological systems (such as protected areas and river basins), and the role of social learning and knowledge co-production to harmonize understanding and actions of stakeholders in these systems. Dirk is also an Adjunct Professor at Nelson Mandela University where he lectures in freshwater management and supervises post-graduate students. I am a freshwater ecologist motivated by research questions revolving around the ecology, biodiversity, and conservation of streams and wetlands. I am particularly interested in how the higher levels of biological organization (communities, metacommunities, and food webs) respond to global change stressors, focusing on the effects of hydrologic variability and drought. I have conducted most of my research in water-scarce regions of the world (the Mediterranean basin and the American Southwest) and I am fascinated by highly-dynamic freshwater ecosystems and their adapted biotas. As a current Postdoctoral Fellow at SESYNC, I am studying dams and their effects on flow regime alteration, via large data sets and time-series methods. In particular, I am building on the recent eco-engineering decision scaling framework, which focuses on the interdisciplinary collaboration between water resource engineering and river conservation ecology. My research question tackles a freshwater conservation challenge in the context of global change: can we reoperate dams in a way that they deliver an optimal trade-off between ecological and socio-economic outcomes? Murugesu (Siva) Sivapalan is Professor of Civil and Environmental Engineering and Professor of Geography and Geographic Information Science at the University of Illinois, Urbana-Champaign. He holds a B.Sc. 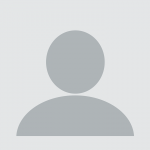 in Civil Engineering (Sri Lanka, 1975), M.Eng in Water Resources Engineering (AIT, Thailand, 1977), and M.A. (1983) and Ph.D (1986) in Civil Engineering from Princeton University. Between 1978 and 1981, Siva worked as a consulting civil engineer in Nigeria, West Africa. He taught hydrology at the Centre for Water Research, The University of Western Australia from 1988 to 1999 before joining the University of Illinois in 2005. Siva was founding chair of the International Association of Hydrological Sciences’ (IAHS) Decade on Predictions in Ungauged Basins (PUB 2003-2012) initiative. He later contributed to the development of the scientific platform for a second decadal (2013-2022) IAHS initiative called Panta Rhei: Change in Hydrology and Society and also co-founded the new field of Socio-hydrology. Much of the work he has done so far in socio-hydrology revolves around understanding and predicting the emergent dynamics (i.e., unintended consequences) arising from competition for water between humans and ecosystems (as measured for e.g. in terms of environmental flows) in agricultural landscapes in semi-arid regions, juxtaposed against accompanying endogenous changes in societal norms and values. I belong to the Ngai Tahu tribe, from the South Island of New Zealand. For the last 20+ years I have worked on freshwater projects mainly for the benefit of Maori. The focus over the last few years has been developing practical tools for Maori to use in freshwater decision making. Jointly with Laurel Teirney we developed a Cultural Health Index for assessing stream health. More recently we have undertaken cultural flow preference studies (in more than 50 streams), to help Maori identify the flows they believe necessary to protect their cultural rights and interests. In some catchments, we now have flows that respond to stated cultural preferences. We are currently in the process of securing an allocation of water for cultural purposes for a large catchment in our tribal territory. I have held the environmental portfolio for my runanga (council at sub-tribe level) for the last 20 years. I also hold governance positions within my tribe. Rebecca Tharme, Ph.D., is Director of Riverfutures, a company she founded to develop policy-appropriate solutions and capacity for environmental water management in the developing world. She is also an Adjunct Principal Research Fellow of the Australian Rivers Institute and chairs the global Water Future working group on rivers, flows and people. Rebecca serves on the jury panel for Swiss Re Foundation’s ReSource Award for resilience in water management. Formerly she was the Director of Partnerships for Great Rivers in The Nature Conservancy’s Global Water Program, and before that was based at the International Water Management Institute. Rebecca has 26 years of experience working in interdisciplinary, multicultural partnerships and projects in 40 countries of Africa, Latin America and Asia. 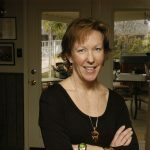 She has been a co-author of numerous publications on environmental flows, including the 2017 book Water for the Environment. Her other interests include agriculture-wetlands interactions, water security and conflict prevention, and water infrastructure impacts on biological and cultural diversity. Alaka Wali is curator of North American Anthropology in the Science and Education Division of The Field Museum. She was the founding director of the Center for Cultural Understanding and Change from 1995 – 2010. Her initial work in the neo-tropics examined the social and ecological consequences of dam development. At the Field Museum, she pioneered the development of participatory social science research and community engagement processes based in museum science. She works closely with colleagues in the Keller Science Action Center to implement environmental conservation programs in both Chicago and the Amazon regions of Peru, principally developing methodologies to improve quality of life for communities adjacent to protected areas. Her research focuses on the capacity for social resilience. 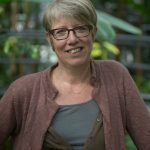 Margreet Zwarteveen is Professor of Water Governance at IHE Delft Institute for Water Education and the University of Amsterdam. Trained as both an irrigation engineer and a social scientist, Margreet is interested in water allocation policies and practices, focusing on questions of gender, equity and justice. Her current research includes a project (financed by the CGIAR WLE program) which explores how new investments in irrigation systems along the Nile in Ethiopia, Sudan and Egypt re-allocate water and water-related benefits, tracing what this means for and according to different groups of people, including experts. In another project (financed by the Netherlands Organization for Scientific Research, NWO), Margreet looks at the mobility of Dutch Delta experts and expertise to examine the production of evidence under conditions of uncertainty. In her work, Margreet favors an interdisciplinary approach, seeing water allocations as the outcome of interactions between nature, technologies and society.